I had low cortisol levels after an illness and my cortisol is getting better since taking Adrenal Support by Vital Nutrients. My M.D. recommended Adrenal Support by Vital Nutrients to help my adrenal's heal. When I take this I feel like I have a normal energy level again. Adrenal Support by Vital Nutrients have helped my energy so much I was dragging until I started taking this adrenal support daily. Life changing. Cordyceps sinensis is a common ingredient in supplements made to support adrenal glands. Cordyceps sinensis has been shown to reduce tired feelings and boost the immune system‚ which is often weakened during times of adrenal fatigue or stress. It’s also used to lower cortisol levels. As you can see‚ the adrenal gland and the hormones it produces are extremely important during times of added stress. Adrenal Support helps your body cope with the symptoms of stress and works to normalize your hormone levels. 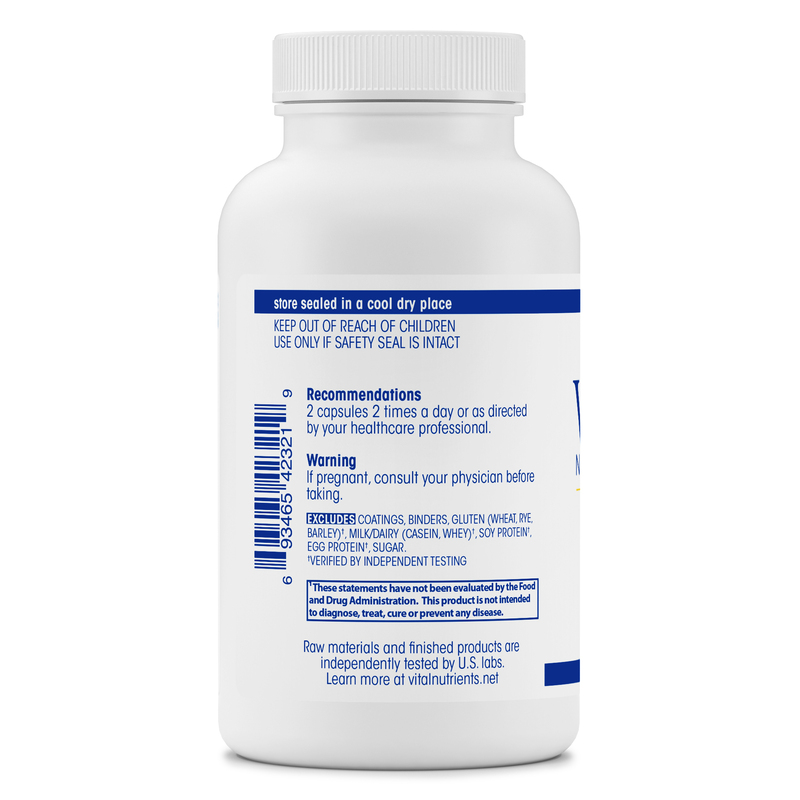 The recommended daily dose of Adrenal Support is 2 or 3 capsules 2 or 3 times a day. These 120 capsule bottles are great for prolonged stress. 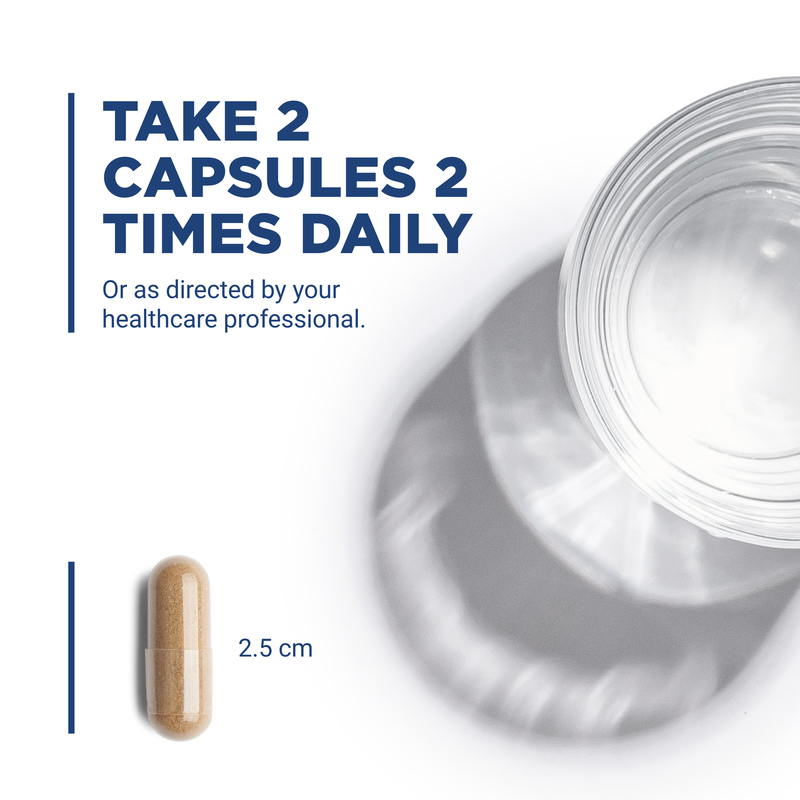 We also offer 60 capsule bottles which are good if you are trying Adrenal Support for the first time. my adrenals are low functioning so by adding 3 capsules of Adrenal Support by Vital Nutrients a day paired with some other measures I dont have the afternoon lag I used to get. 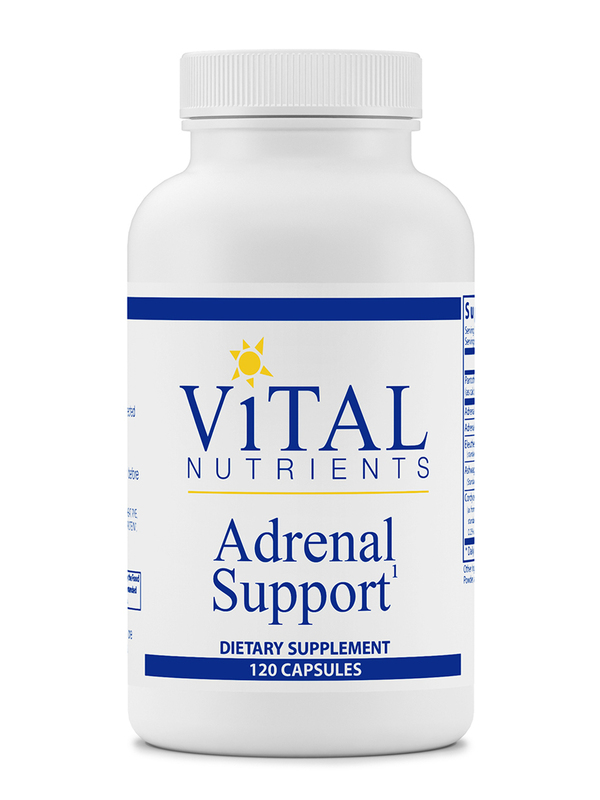 I have high cortisol levels, and I swear by using Adrenal Support by Vital Nutrients. I work with my ND to measure my cortisol levels, and this product has been a saving grace to get them to normalize. I wouldn't purchase any other Adrenal Support as this, in my belief is the best one on the market. Adrenal Support by Vital Nutrients was prescribed to me by my naturopath. I have been suffering with symptoms of low thyroid and hormonal imbalances, I’m 52 years old. I was very reluctant to take this product as I have not consumed animal products in over eight years. I really had to talk myself into using this as it contains bovine adrenal glands. I could not believe the difference in my energy levels and overall well-being while on this product. It has helped me tremendously. I took a break from using it for a month because I was feeling better, but I am back on it again and just ordered my four bottle. I would not be using an animal based supplement unless it truly made a difference, and this one does. I highly recommend! It works, I can definitely feel a difference when I’m on it. I also like that it contains Ashwagandha root. Helps with energy and chronic fatigue. Can take too much and feel some anxiety be careful to monitor your dose. 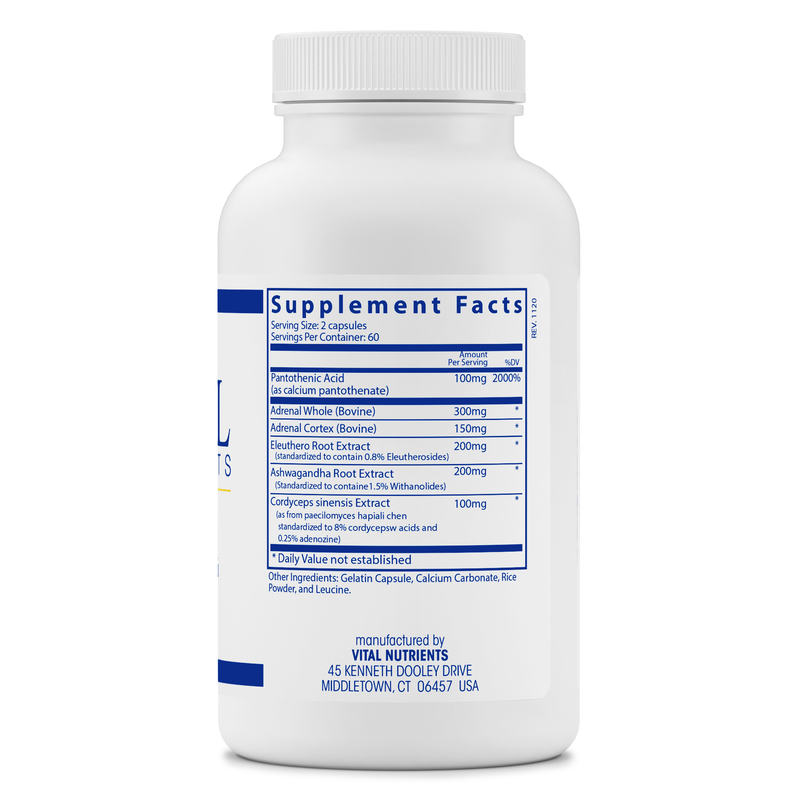 I have been taking Adrenal Support by Vital Nutrients to help my adrenal glands work properly. Along with some other related to the subject supplements this has done an amazing job! I have been taking it for a while now and feel great. I know it is working for sure! Price is good. Product is excellent. I like how it makes me feel. Must try Adrenal Support by Vital Nutrients.